With Chinese leader Xi Jinping skipping North Korea’s 70th anniversary celebrations, attention is now on what to expect at the reclusive country’s major national event. 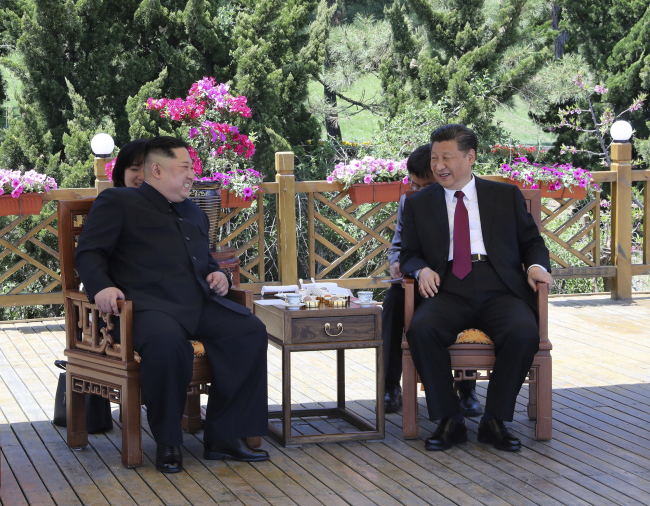 According to Chinese and North Korean state-run media, Li Zhanshu, a member of China’s seven-person Communist Party leadership, will travel to Pyongyang as Xi’s envoy Saturday, a day before North Korea commemorates the 70th anniversary of the state’s founding on Sunday. Xi had been expected to attend the celebrations, in what would have been his first visit to the neighboring country. North Korean leader Kim Jong-un had pledged a “grand celebration” of the anniversary in his New Year’s speech. Although Xi’s absence put a damper on the North Korean leader’s efforts to highlight the significance of the ceremony, preparations for the event continue in and around Pyongyang including a massive military parade and choreographed performance. Citing satellite imagery from Planet Lab over the weekend, Voice of America’s Korean service reported Tuesday that about 10,000 North Korean troops have been mobilized for a mock-up parade at the Mirim Airfield in southeast Pyongyang. US research institute 38 North also suggested that the scope of the parade would be bigger than the one held in February, as the largest number of shelters for heavy equipment was spotted in recent satellite imagery. “While the number of shelters present isn’t a definitive indicator, it suggests that Sunday’s parade will likely be considerably larger than the military parade earlier this year,” said 38 North analyst Joseph S. Bermudez. There is no indication yet that intercontinental ballistic missiles will be present at the parade, though there is a possibility that the weapons might be hidden in a storage area until the day of the parade, Bermudez added. North Korea is also planning a massive choreographed performance known as the “Mass Games” for the first time in five years. The event is expected to take place until next month at May Day Stadium in Pyongyang. Under the title of “Glorious Country,” the performance features massive crowds holding small pieces of cards to create large-scale propaganda images. North Korea has sold tickets to the event to foreign tourists, with some tickets reported to be priced as high as 800 euros ($927). “Self-reliance and national unity are common themes for North Korea’s founding anniversary. This year, I think it will likely focus more on establishing itself as an economic powerhouse,” said Yang Moo-jin, a professor at the University of North Korean Studies.